The ASEAN+3 Bond Market Guide was first published in 2012 as the initial output of Phase 1 of the ASEAN+3 Bond Market Forum (ABMF).1 In addition to an update of the original 11 jurisdictions’ bond markets guides, three new markets were taken up this time. Across the region, economies with nascent domestic bond markets, including Myanmar, have experienced tremendous development over the past 5 years. 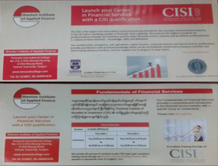 Now in Phase 3, ABMF would like to share, in the public domain, information on these developments by publishing a Myanmar Bond Market Guide for the first time. This work is published under the responsibility of the Secretary-General of the OECD. The opinions expressed and arguments employed herein do not necessarily reflect the official views of the OECD or of the governments of its member countries or those of the European Union. This document and any map included herein are without prejudice to the status or sovereignty over any territory, to the delimitation of international frontiers and boundaries and to the name of any territory, city, or area. 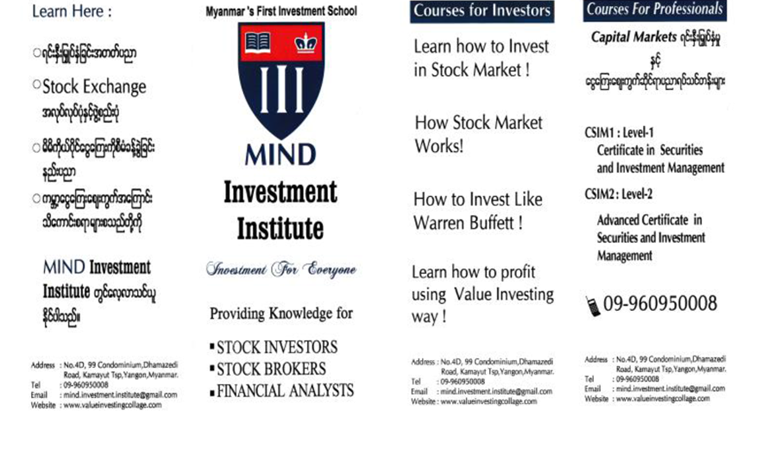 Address : No.4 D, 99 Condominium, Dhamazedi Road, Kamayut Tsp, Yangon, Myanmar.